Reel Talk Online: Milla Jovovich Continues to Fight the Good Fight in "Resident Evil: Retribution"
Milla Jovovich Continues to Fight the Good Fight in "Resident Evil: Retribution"
Alice can't seem to shake off these pesky undead creatures. 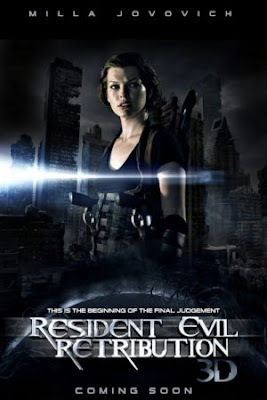 Milla Jovovich returns for the fifth installment of the Resident Evil horror franchise, Resident Evil: Retribution . Reprising the role of Alice, survivor of the military zombieapocalpyse, Jovovich reteams with previous cohort Michelle Rodriguez, who returns as badass Rain Ocampo. It seems like more of the same of what we're used to in the franchise. Resident Evil: Retribution hits theaters September 14.